If you have been following us on Instagram you will know that we have been collaborating to run giveaways for the past few weeks. 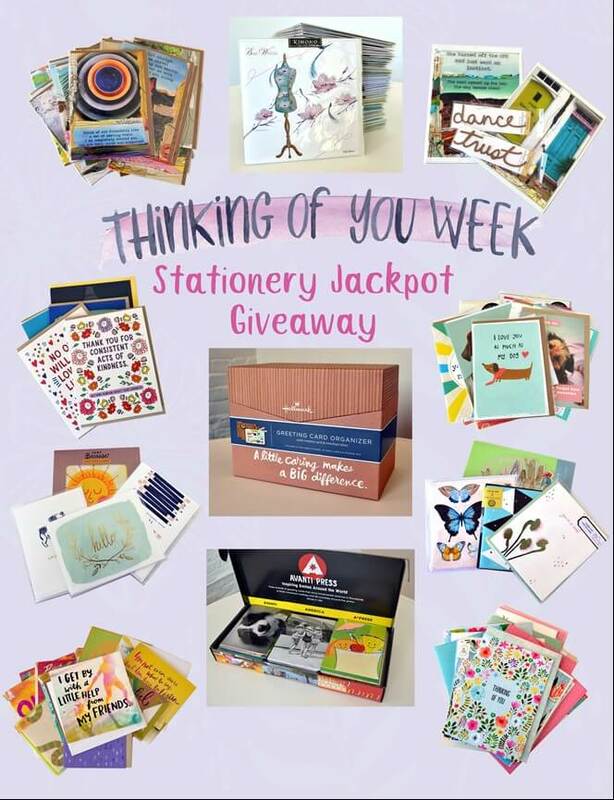 Now we are launching our final giveaway, with a huge jackpot prize of over 150 greeting cards, greeting card organizer, journals and inspirational artwork, all donated by an amazing group of organizations who are helping us spread the word about Thinking of You Week. Be sure to visit our Instagram page before Monday 17th September 2018 and follow us to enter the giveaway! All of the terms and conditions can be found on our post.